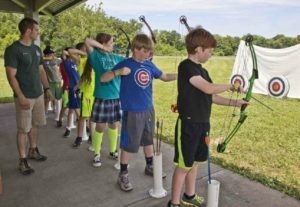 PRESS RELEASE: (Missouri Department of Conservation) — The Missouri Department of Conservation (MDC) will offer a free, one-day Conservation Youth Camp for girls and boys from 8 a.m. to 5 p.m. on Friday, June 28, at the Hartell Conservation Area near Plattsburg. Applications are now being accepted, and space is limited. This camp is a great opportunity for youths ages 11-15 to learn about outdoor sports.